Many legends are associated with the creation of the city, including one that recounts that Buddha would have smiled when he rested there during his travels, prophesying that it would one day be the site of a rich and powerful city. Known as Muang Sua, then Xieng Thong, from the 14th to the 16th century the town became the capital of the powerful kingdom of Lane Xang (Kingdom of a Million Elephants), whose wealth and influence were related to its strategic location on the Silk Route. The city was also the center of Buddhism in the region. Luang Prabang takes its name from a statue of Buddha, the Prabang, offered by Cambodia. After the establishment of the French Protectorate in 1893, following a period of turmoil during which the country was divided into three independent kingdoms, Luang Prabang once again became the royal and religious capital during the reign of King Sisavang Vong. It played this role until Vientiane became the administrative capital in 1946. Luang Prabang is exceptional for both its rich architectural and artistic heritage that reflects the fusion of Lao traditional urban architecture with that of the colonial era. Its remarkably well-preserved townscape reflects the alliance of these two distinct cultural traditions. 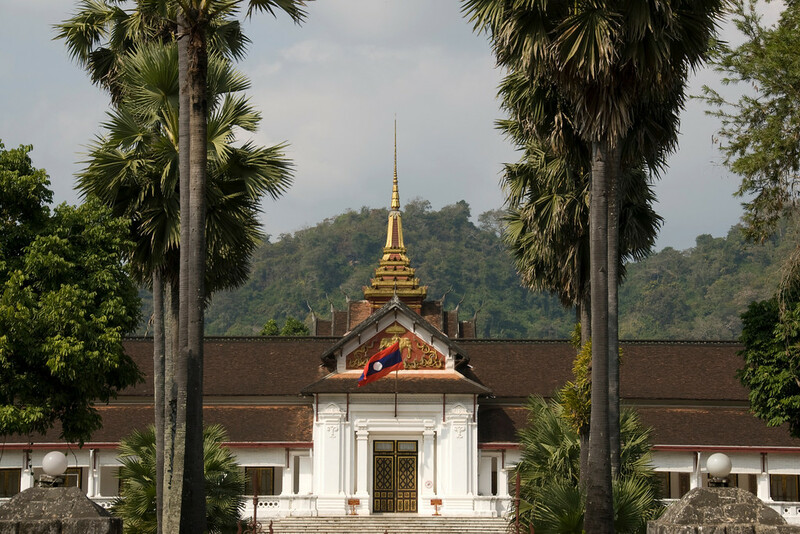 The political and religious center of Luang Prabang is the peninsula, with its royal and noble residences and religious foundations. The traditional urban fabric of the old villages, each with its temple, was preserved by later constructions. The colonial urban morphology, including the network of streets, overlapped harmoniously with the previous model. Formerly the town limits were defined by defensive walls. Prior to the communist takeover in Laos, the Town of Luang Prabang was the royal capital of the country. It is a very sleepy town (well, all of Laos is) on the Mekong river which is becoming a popular attraction on the tourist circuit in SE Asia. In addition to the European style colonial buildings, there are also several Buddhist temples in the area. One of the most interesting things you’ll see in Luang Prabang is the daily alms ceremony. Every morning at sunrise, the monks of the local temples line up and walk through the streets of the town to get rice and food from the locals. If you wake up early, you can buy some sticky rice and fruit and line up to give something to the monks. The Korean and Japanese tourists took it much more seriously than the Western tourists did. Luang Prabang is an ancient town in Laos. The town of Luang Prabang is located on the northern part of the country and is recognized as a UNESCO World Heritage Site. Some would claim that this is one of the most charming and well-preserved towns in Southeast Asia. 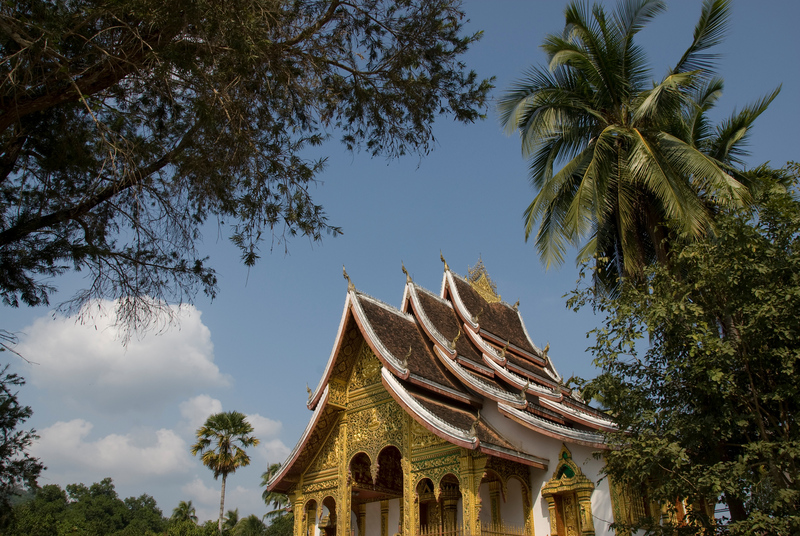 Luang Prabang consists of 34 Buddhist temples, as well as other Chinese and colonial architectural structures. This rich concoction of cultural and historical sites is set on a lush mountainous backdrop. Meanwhile, the western of the town of Luang Prabang is bordered by the Mekong River. It also once served as an important transportation, recreational and commercial link in this part of Asia. The town of Luang Prabang can be directly accessed by flights coming from other parts of Laos, or other cities in Asia such as Bangkok, Chiang Mai, and Vientiane. Meanwhile, adventure travelers also prefer to travel overland to see the other parts of Laos. This is recommended during the dry season. Another transportation option to get to Luang Prabang is via boat cruise through the Mekong River. There are boat services available via the Mekong on a regular basis. An average voyage in the Mekong River typically lasts two days. The town of Luang Prabang is also known as Louangphabang but was later transliterated by Western Language to its current name. The name of the city literally means “Royal Buddha Image”. It is located in north central Laos with 58 villages, of which 33 are included in the UNESCO World Heritage Site listing. It was inscribed into the list of UNESCO World Heritage Sites in Laos in 1995. UNESCO cited that the town of Luang Prabang for its remarkable preservation of architectural, cultural and religious heritage. At the same time, it has also incorporated into its own culture various influences from the French colony and other invaders throughout its history. It was under the influence of the French colonizers from the 19th to the 20th century. 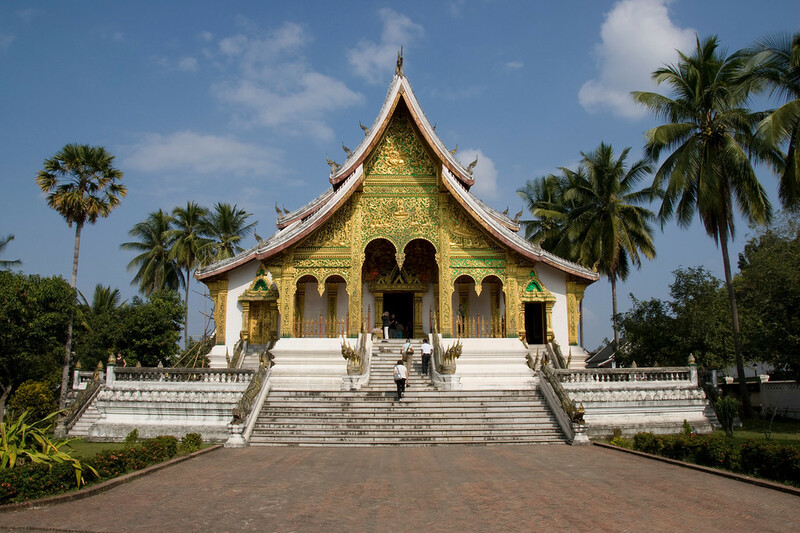 For all the things that Luang Prabang is known for, it is the collection of Buddhist temples and monasteries that it is most noted for. It has become a tradition for the monks to walk through the streets of Luang Prabang every morning to collect alms. During the reign of the Lan Xang Kingdom, the city of Luang Prabang also served as the ancient royal capital. However, the new capital, Vientiane, was named in 1545. Despite that, the ancient town of Luang Prabang continues to be the destination of choice for tourists who are looking to experience its extensive natural beauty that blends well with the glistening temples and ruins of French architecture in the city. In fact, tourism is one of the primary sources of the economy in the town. To this day, this ancient capital remains as the center for Buddhist learning in Laos. A tropical wet and dry climate is expected when you visit the town of Luang Prabang. It is generally warm throughout the year. The coolest months are from December to January. Some of the notable dishes to try in Laos include O-lam, mokpa or steamed fish, and the Mekong River moss that is served with chili sauce. Natural tourism is popular with tourists in Luang Prabang. Top natural attractions include Tat Sae Waterfalls, Pak Ou Caves, and Kuang Si Falls. 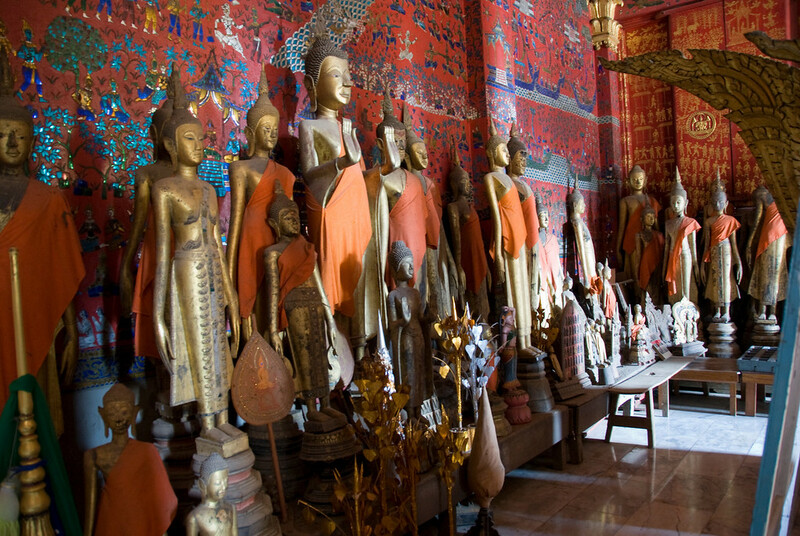 View the complete list of UNESCO World Heritage Sites in Laos. Hi friend you really provide a very good blog to us I want to share something about Trekking In India— Trekking is one of the famous adventure sports. Being a vast and beautiful country, India offers countless options for trekkers to explore its varied terrain. The word trekking, conjures up images of high mountain passes, yaks, ponies and picturesque mountain trail. However, those looking for adventurous vacation do not think twice. All you need to carry is a small bag with your personal belongings and some water. I was in Laos a few years back in a backroad village called Luang Nam Tha on my way back to Thailand from China. It is indeed pretty sleepy, but worth a visit. It was dry season when we went, but a rainstorm came in and soaked the mountain roads, making our 100-km trip to the Thai border a 13-hour endeavor.